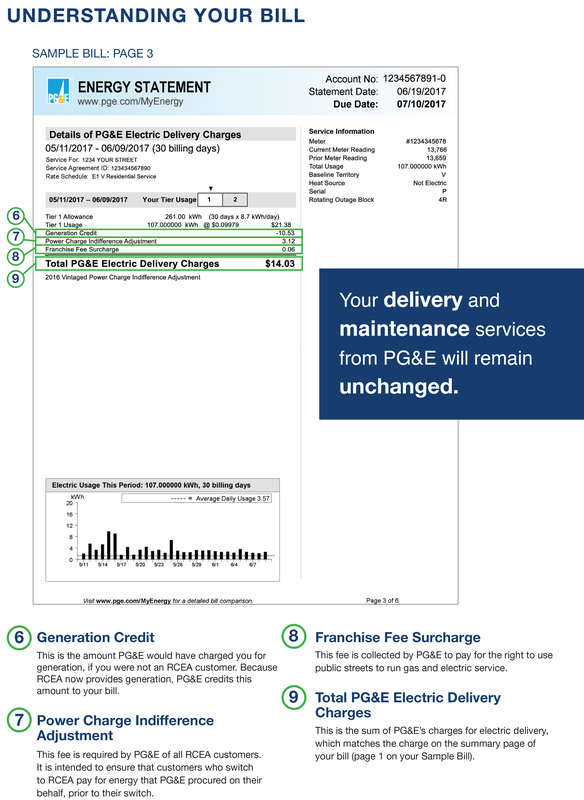 Electric Delivery Rates—PG&E delivery rates are identical for all customers, whether or not they’re enrolled in CCE. Electricity Generation Rates—Generation rates vary slightly, depending on which CCE service level you choose. Our standard REpower product costs slightly less than PG&E’s electricity, and it’s higher in renewables. Our premium REpower+ product costs slightly more. Higher in renewable power than PG&E’s mix. 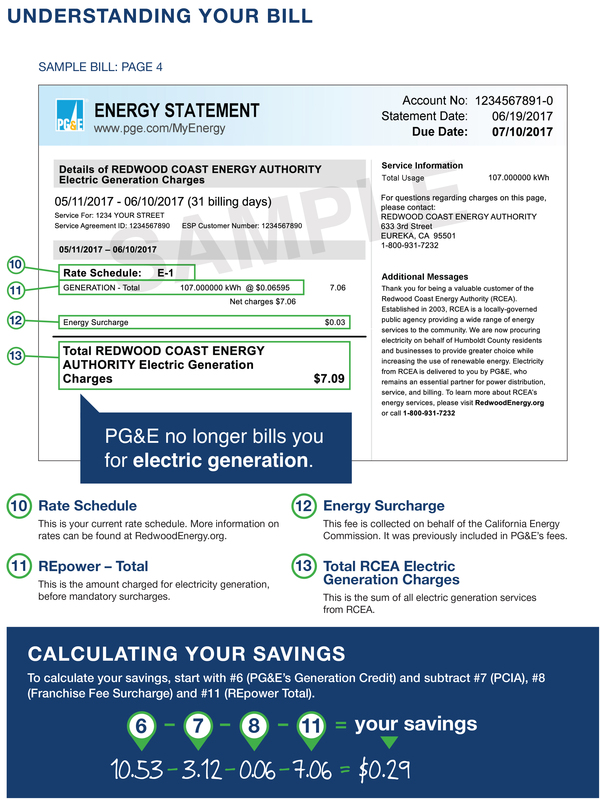 RCEA’s Community Choice Energy program rates replace PG&E’s rates for generation on your bill, so you’ll see an extra page in your bill that details our generation rates. PG&E also levies additional fees on CCE customers. All of these are included when we present cost comparisons. PG&E and RCEA Joint Rate Comparisons: www.pge.com/cca Look on the right side of the page for the list of PG&E and CCA rate comparisons. Scroll down to “RCEA comparisons” and click on the PDF links below. RCEA and PG&E are working together to bring you Community Choice Energy. 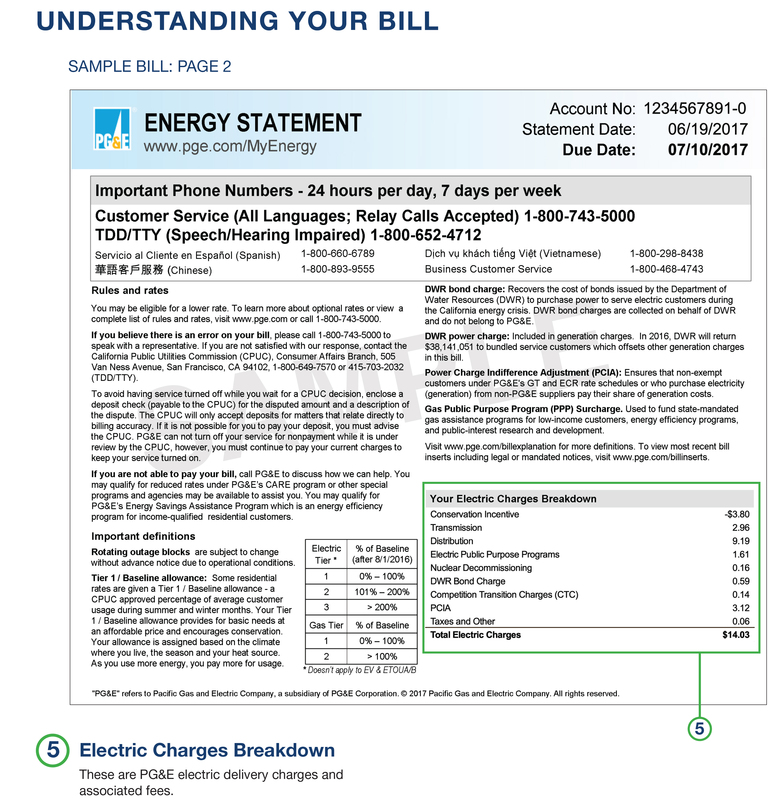 Even our billing efforts are combined—you’ll only get one bill (from PG&E), which will include RCEA generation charges. RCEA and PG&E are working together to bring you Community Choice Energy. 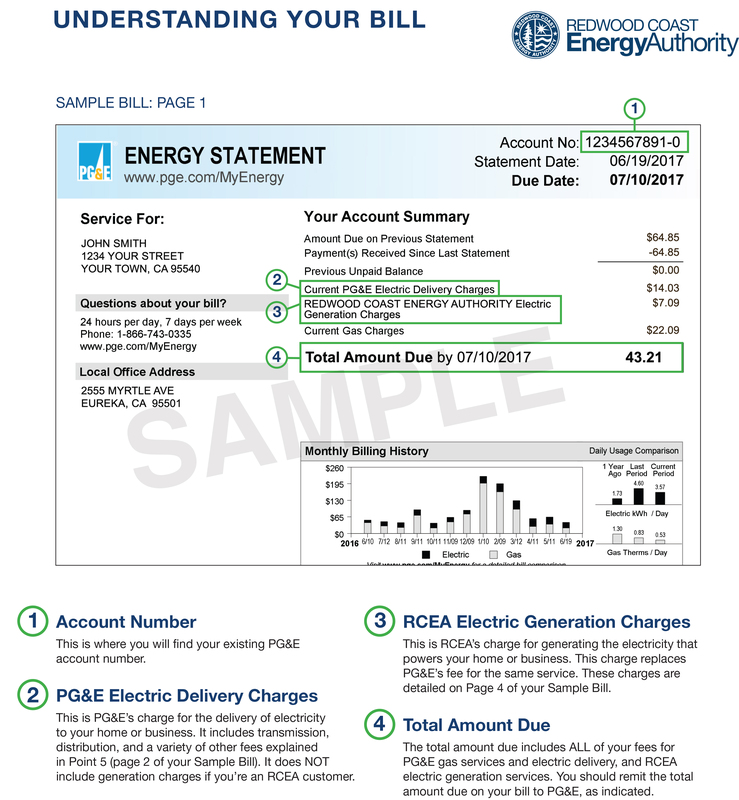 Even our billing efforts are combined—you’ll only get one bill (from PG&E), which will include RCEA generation charges. There won’t be any duplicate charges. We understand that even a small change can be confusing. Please call or stop by if you have any questions. 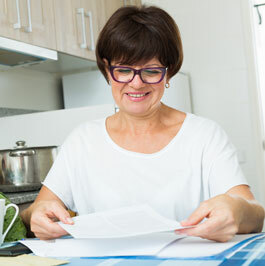 We’d be happy to walk you through your bill so you understand the benefits and your choices. Rates for the Community Choice Energy program are set by the Board of Directors at regularly scheduled meetings that are open to the public.